Blend cashews in a food processor until creamy and smooth. 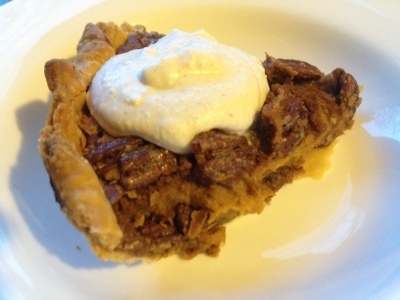 Add pumpkin, sugar, 1/4 cup of the syrup, salt, cinnamon, ginger and pumpkin pie spice and continue doing what you do until its creamy smooth. 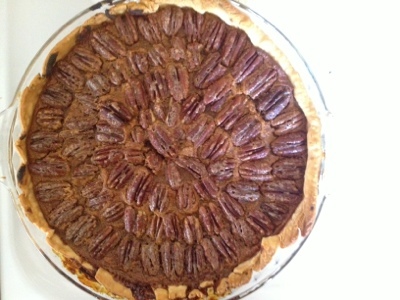 Coat those pecans in the 2 tbsp maple syrup and arrange evenly on the bottom of the pie shell. Make sure you have enough for the bottom of the pie shell and some for the top too. 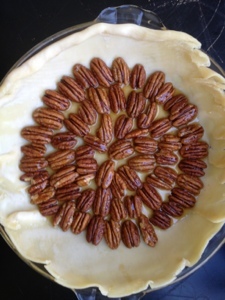 Pour pumpkin filling on top of the pecans and put another layer of pecans on top. Bake for about an hour and make sure to let it cool before you slice it up. After you've left the coconut milk in the fridge overnight the contents of the can are going to separate. You can keep the coconut water for whatever your heart desires but the good stuff is going to be the creamy thick stuff....that's what she said. Scoop it out and wizz it around until it gets soft and fluffy. 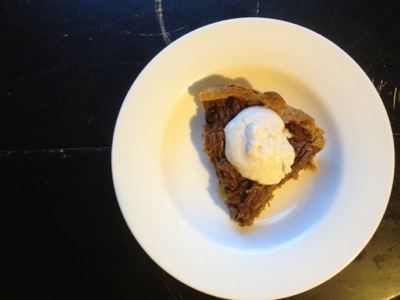 Mix in the remaining ingredients, or any other flavors you'd rather have and serve on top of the pie.